If you are one of the 44.5 million student loan borrowers in the United States, you've likely felt anxiety about your debt. However, instead of focusing on the anxiety, you can focus on these six practical solutions for repaying your student loans. If you have a job after you graduate, you should consider paying more each month than the minimum required by your loan servicer. This will reduce the interest you in the long-term and save you a significant amount of money. For example, a study by US News applied this math to a $50,000 loan with five percent interest and a 10-year plan. If you add an extra $20 to your minimum payment, you will save $1,000 in interest and pay off the loan five months earlier. If you add $100, you save $4,000 and pay the loan off two years earlier. Think of the repayment process as a marathon, not a sprint. Like all smart runners who train with the best technology, you should use the latest that science has to offer as you run your race. Groundbreaking new apps such as Digit use brilliant algorithms and coordination with your bank accounts to transfer money and automatically set aside certain amounts of funds for paying off debt. It's a great way to set aside money for the extra payments mentioned above. The app shelters the money in a way that's sensitive to your budget needs. It analyzes your income and spending and periodically sets aside a small amount of change into your Digit account, which you can use to repay your loans faster. It's amazing how shaving a few bucks off the top here and there can accumulate into a pile of cash. If you don't want to use a third-party app like Digit but you still like the idea of automatic withdrawals, you can set your bank up to send a certain amount of money to your loan servicer through your bank's Bill Pay feature. Most of the major banks offer Bill Pay, and they allow you to set the rules for the timing and amount. Loan forgiveness programs offer another angle on repaying student loans. While there are private organizations that have loan relief or forgiveness benefits, there are also programs provided by the federal government. If you have borrowed Direct Loans, the Public Service Loan Forgiveness (PSLF) program offers loan relief for some employees who work for certain government or not-for-profit organizations. After you make 120 payments in a qualified repayment plan while being employed full-time by a qualified employer, the federal government will forgive the remaining balance of your federal student loan. To see a full list of employers, review the government's qualifying employers page. The Teacher Loan Forgiveness Program is another government program designed to forgive federal loans. To qualify, you must teach full-time for five academic years in an educational service agency or low-income school. The academic years must be complete and consecutive. If you qualify, you can receive up to $17,500 in federal loan forgiveness. If you are in the smaller percentage of borrowers who participated in the federal Perkins Loan Program, you may be able to participate in one of the Perkins Loan Cancellations programs such as the Teacher Cancellation program, the Public Service Cancellation program or the Perkins Discharge program. If you are a graduate student and if any of your federal loans have the term "Unsubsidized" in the name or loan terms, it means the interest is not subsidized by the government. While you are in school your unsubsidized loans are accruing interest. When you leave school, all accrued interest is capitalized, which means it is added to the principal. For the same reasons you want to make bigger payments early on to save money, it's a good idea to make interest-only payments on unsubsidized loans in school. You may be tempted to consolidate your federal loans with credit card debt or private student loans. Federal student loans come with special benefits: they have fixed interest rates and a wider variety of repayment plans. If you consolidate your federal loan with credit card debt or private student loans that have variable interest rates, you will lose all the special benefits that come with federal loans. Crowd fund on GoFundMe and offer inexpensive but creative incentives for people who donate to your campaign. Tie the campaign to your lifelong dream or some bigger life goal that evokes emotion. Show how getting help to pay off your loans could help you achieve your dreams. Sell some assets. Maybe you don't need that expensive Les Paul guitar anymore now that your band has broken up. Or maybe you've just become a parent, and it's unlikely you'll ever drive your motorcycle again because parenthood has transformed you into an extremely cautious person. Look for things to sell that are no longer essential. Get a side-hustle. Consider getting a second or third job on the side even if it's as simple as selling items on eBay or making things to sell on Etsy. It may not bring in huge piles of cash, but every little bit helps. 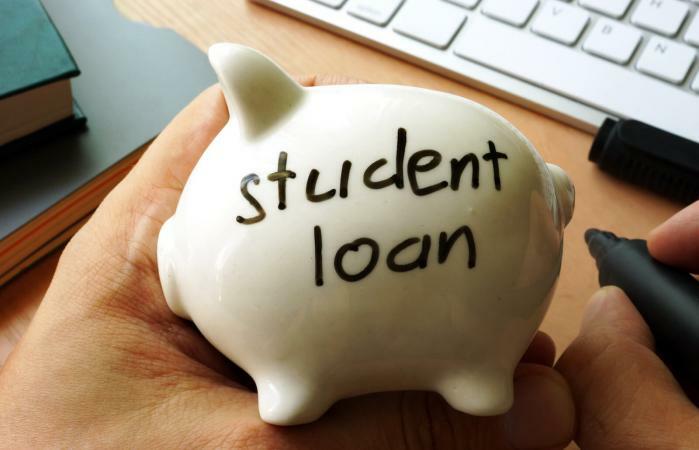 There are other ways to strategize loan repayment such as consolidating your federal student loans into a single loan or negotiating student loan debt. Usually a successful strategy combines a mix of proactive measures with good habits that avoid common pitfalls. Keep striving to find the strategy that fits your situation and don't give up until you've conquered your student loan mountain.